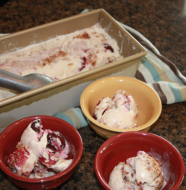 I was just looking and this is the third ice cream recipe I’ve posted. 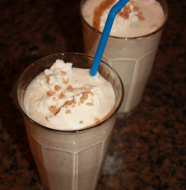 My first post on this blog was this peanut butter ice cream. While I’m almost at a full year of blogging, I’m kind of surprised that I hadn’t gotten around to posting this sooner. This ice cream is absolutely delicious and has been a favorite of Jeffrey’s family for some time. 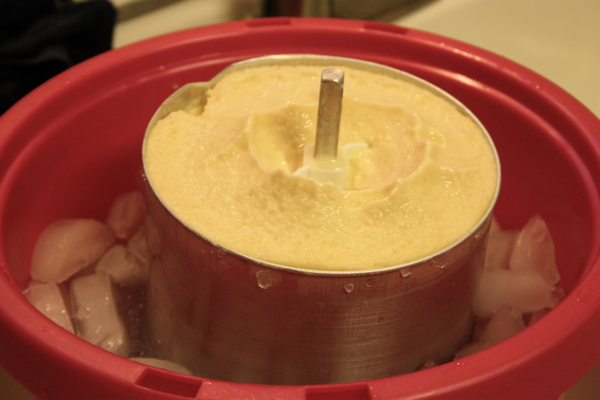 In fact, if you go to a summer gathering of his family where the ice cream freezers are pulled out, chances are, this delicious concoction is what will be coming out of the freezer when it finishes its work. 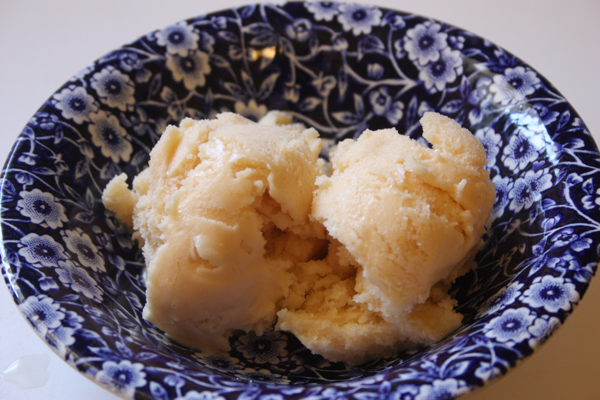 This dead simple ice cream has no eggs but still has an amazing texture. While it is certainly best to make it with fresh peaches, you can even use peaches that are a bit past their prime. In Jeffrey’s family there is also some small disagreement as to whether or not you should peel the peaches before you put them in the blender. I usually peel them. 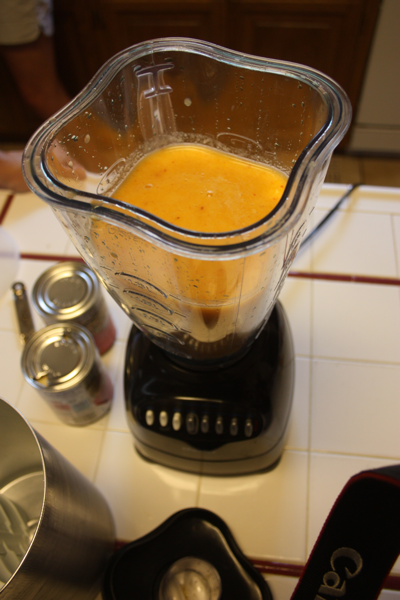 Also, if you would like to have small chunks of peaches in your ice cream, feel free to not process them as long in your blender. 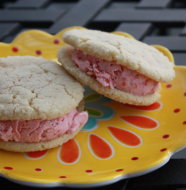 If you are tired of vanilla ice cream or other traditional flavors, it might be time to try out this heavenly treat. The peach puree ready for the other ingredients.